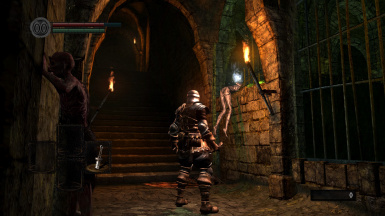 Dark Souls: Daughters of Ash is a massive re-imagining and expansion of Dark Souls. It features new bosses and enemies, new characters, new storylines, new weapons and items, expanded lore, and plenty of new secrets. It offers modified and brand new content, much of which cannot be discovered in one play-through. 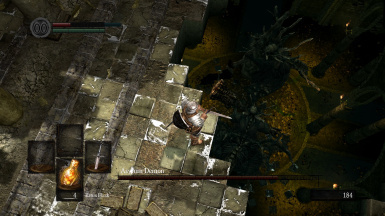 UnpackDarkSoulsForModding You must unpack your Dark Souls game files once with this tool. - HotPocketRemix for UDSFM, his EMEVD translation work, and his FSB reconstruction work. - Meowmaritus for ParamVessel, MeowScript, and Model Viewer. - Wulf2k for BND Rebuilder, MSB Editor, FMG Editor, and Param Editor. 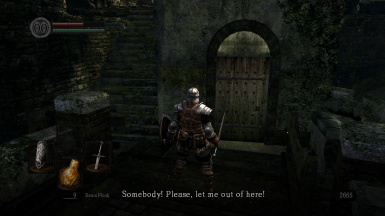 - loosepolygon for DarkSoulsAnimTool (TAE) and ScriptListEdit (LUA). A small debug option was left on in one area, and was disabled. v1.3.1 just released. Note that update 1.2.0 introduced a new installer, as the executable required editing (and I was due to update the installer and remove DSfix anyway). Apply the latest patch after installation by unzipping it into your DATA folder. Many thanks to everyone who has expressed a wish to donate, or has already done so. Your kindness is greatly appreciated :) thank you also to everyone who has sent me nice messages (and/or constructive feedback). You only need to apply the latest patch. I've only kept the old installer and old patches around in case there are issues with any update. Thank you to everyone who has reached out to me about translating the mod. I promise I'll get back to you soon with a list of text entries that need translating, and sorry it's taking so long. I'm also still working with AinTunez to adapt the mod for Dark Souls: Remastered, but this will likely take another couple of weeks. NOTE: If enemies or bosses in your game aren't moving or attacking at all, there was likely an issue with your installation (in particular, the AI scripts) or a glitch when the game loaded. Try restarting, then if that doesn't work, re-installing (from scratch) and re-patching. You shouldn't need to make a new character. As of 1.3.0, the full change log for new updates can now be found in the readme included in the patch zip. Only major changes are listed below. - Bonerust no longer provides infinite stamina and instead reduces stamina regen like before. - However: bonerust now provides a significant boost to physical defense. - Bug fixed where certain NPCs dropped their loot infinitely (e.g. Painted World). - Bug fixed with a certain special cell in the Archives sometimes not needing its key. - Rusted Iron Ring restored; it can be found in a certain tar pit (even on existing characters). - Poisonbite Ring location swapped with Claw location, so the ring can actually come in useful. - Bug fixed where Griggs went silent before turning Hollow. - Bugs fixed with Semblance health bar not disappearing, or re-appearing upon rest. - You can now always warp back to alternate Oolacile (even if you went there before patch 1.3.0). - Fixed a bug in 1.2.5 that had undone some of my adjustments to enemy difficulty across the game (e.g. Painted World). ﻿- Several Runes have been made more powerful, and their descriptions a little more explicit. ﻿- An item has been added to make Velka's questline clearer. - A new ending has been added to Jeremiah's questline that ensures the Spark can always be recovered. ﻿- Bonerust now heals when you rest at a bonfire. ﻿- You will gain permanent warping ability when the Lordvessel is full. ﻿- Enemy placements balanced (i.e. made easier) in dark Township, parts of Blighttown, and a few other small tweaks. 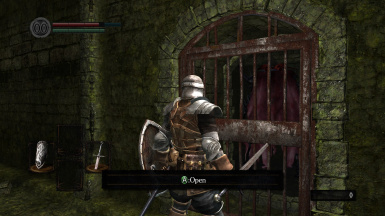 ﻿- Dark Oolacile can be accessed even after the Lordvessel is obtained (as long as light Oolacile has not been visited). ﻿- Many more minor fixes (see readme). - Certain heavy gauntlets boost your attack power. This was intended to apply to unarmed attacks only (fists), but I'm leaving it as-is until I can figure it out. - The Master Key may not always give precedence to the door's actual key. Let me know what specific doors/gates this happens at for you. ﻿- Nito covenant pledge doesn't remove Eye of Death from your inventory. I haven't been able to solve this yet. - Nito may appear to float out of his coffin (and may even appear in duplicate). This is difficult to solve, but essentially harmless. Dark Souls: Daughters of Ash is the original Dark Souls (2011), re-imagined and massively expanded. It's my vision of what Dark Souls might have been if FromSoftware had been given an additional six months to develop content for the game. 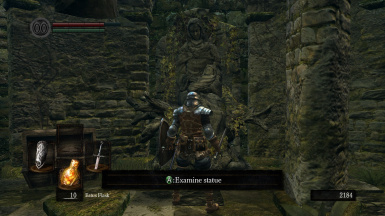 Forget what you know about exploring Lordran. New world-changing events, key items, and unexpected pathways await you. Triumph in new boss battles, most of which are designed to promote novel gameplay rather than sheer increased difficulty. Encounter new enemies on your journey – including enemies restored from cut content – and watch many old bosses and enemies behave in new ways. Meet new characters with brand new questlines, which will intersect in numerous unpredictable ways as your journey continues. Even the stories of familiar characters may take unexpected turns. Discover new weapons with brand new abilities, many of which will require keen insights and careful consideration to master. Most existing equipment will not be exactly the way you remember. Don't expect to come anywhere close to unveiling all of the game's hidden content in one or two play-throughs. Daughters of Ash has more content than the original game, much of which cannot be seen in a single play-through due to the complex interactions between storylines. It contains no new game assets (e.g. character models, map assets, dialogue recordings, visual effects) but accomplishes a great deal through modifying the game's event scripts, placement data, and entity logic. It was created with more than one thousand hours of work throughout 2017 and 2018 by one very masochistic programmer (hello!) with the wonderful tools and loving support of the Dark Souls modding community. See the screenshots for examples of sights you might encounter in the first ten minutes. This is a monumentally large and complex mod. As such, it is likely to still contain some bugs – despite my hundreds of hours of play-testing – as players will inevitably get themselves into situations that I couldn't possibly foresee. You can submit these bugs to me here through Nexus, or through the website (see below). There are hopefully no bugs left that will break your game. It also contains no support for multiplayer (including co-op), and I strongly recommend that you play offline to avoid invasions. Being invaded by a player without the mod installed will lead to broken gameplay – and sadly, coding and testing the required network behavior for co-op on all of the new content (particularly bosses) wasn't possible for me. You're welcome to try co-op with someone who also has the mod installed, but things will likely not work out (and you should definitely play by yourself first). Aside from the Orange and White Sign Soapstones, all items have had their online functionality removed.
. 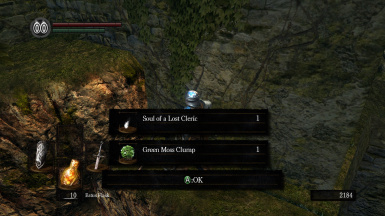 The installer will chastise you if you haven't already unpacked your game's files with the UnpackDarkSoulsForModding tool, which is very easy to use and essential for modding the game. My installer will also make backups of your existing pre-mod game files for you to easily restore. The mod is, as you've probably guessed, completely incompatible with almost any other Dark Souls mod (including randomizers), so please start with a fresh install of the game. And one final warning for the curious: inspecting the mod's files too closely will spoil some of the content, so play the game first. Read more about the project at daughtersofash.com﻿, where I'll intermittently post some behind-the-scenes stories. The website is unfinished, but you can submit bug reports there as well. Otherwise, you can reach me here or on Reddit/Discord as 'Grimrukh'. Particular shout-outs to the Dark Souls modding community go to HotPocketRemix, Meowmaritus, Wulf2k, and loosepolygon, who all developed tools that were critical for my work. Thanks also to Fennrix for a couple of ideas that appear in the game, and his comraderie in creating content. I hope you enjoy it, and hope you can be patient with me as I try to fix any bugs that appear.